07/27/18 Samidoun Palestinian Prisoner Solidarity Network. As even more Palestinian leaders and activists are ordered imprisoned without charge or trial, four Palestinian prisoners are on hunger strike. Hassan Shokeh of Bethlehem has now been on hunger strike for 55 days; he is protesting against his administrative detention. Shokeh was scheduled to be released in June; upon his arrest in September 2017 – only one month after his release from a prior stint in administrative detention – he launched a hunger strike when he was ordered jailed without charge or trial once again. His case was moved to the military courts and he was sentenced to six more months in Israeli prison. However, when his sentence expired, he was ordered jailed without charge or trial under administrative detention instead of released as scheduled. Shokeh, 30, is being held in isolation at the Ramle prison clinic, and his father said that he has lost more than 30 kilograms of weight and suffers from continuous pain and serious deterioration in his health condition. Shokeh’s father criticized the insufficiency of support efforts for his freedom, saying that the actions of human rights organizations has not gone beyond the typical solidarity activities of prisoners’ families. Palestinian lawyer Moataz Shqeirat said that Shokeh must use a wheelchair to move and suffers severe eye pain, headache, fatigue and nausea. The Ofer military court held a hearing yesterday to consider Shokeh’s request for release due to his worsened health condition, but the it was postponed until Tuesday with the statement that full medical records need to be maintained. Shokeh’s family has been denied visits since his arrest; only his 10-year-old sister was allowed a visit. Since he launched his strike, no family visits have been allowed at all. Shokeh has spent 12 years in Israeli prisons in multiple arrests, eight of those years in prison without charge or trial under administrative detention. Shokeh’s strike is part of an uprising in the prisons against administrative detention. There are currently nearly 450 Palestinians – out of a total of over 6,100 political prisoners – jailed without charge or trial under administrative detention. Administrative detention orders are issued for one to six months at a time on the basis of “secret evidence,” and they are indefinitely renewable. Palestinians have spent years at a time jailed under administrative detention orders that are repeatedly renewed. Since February, the administrative detainees have been united in their boycott of the military court hearings to approve their detention orders. They have continued the boycott to demand an end to the practice of imprisonment without charge or trial. At least two minor children are currently held in administrative detention, Laith Abu Kharma from the village of Kafr Ein, and Hussam Khalifa from the village of al-Walaja. Joining Shokeh on strike against administrative detention are Mahmoud Ayyad, for 21 days and Anas Shadid, for 7 days. Mohammed Dar Sattouf al-Rimawi has been on hunger strike against his arrest for 6 days. Several fellow administrative detainees have also taken up hunger strikes during Shokeh’s battle, which have been suspended with assurances that their detention orders will no longer be renewed. Shadid, 21, from the town of Dura near al-Khalil, formerly conducted an 88-day hunger strike against a previous imprisonment without charge or trial. He launched his most recent strike after his detention was renewed again for the third time in June 2018. Abdel-Majid Shadid, Anas’ brother, said that his brother was seized by occupation forces in June 2017 only two weeks after he won his freedom through the 88-day strike. He has carried out several strikes during this period of detention to demand his freedom. Rimawi is on strike as he is being held under interrogation at the Ashkelon interrogation center. Palestinian lawyer Khader Daibes of Addameer said that the interrogators shouted at him and threatened him and his family, preventing him from showering and repeatedly searching his cell at night to deprive him of sleep. He was summoned to interrogation at Ofer prison on 19 July and then denied the right to leave, transferred instead to the Ashkelon interrogation center. Rimawi was released six months ago from a three and a half year sentence in Israeli prisons. Many prominent Palestinian leaders are jailed under administrative detention, including imprisoned parliamentarian, leftist and feminist Khalida Jarrar and French-Palestinian lawyer and advocate Salah Hamouri. As prisoners escalate their struggle against the practice of detention without charge or trial – first introduced to Palestine by the British colonial mandate and taken up thereafter by Zionist colonialism – the Israeli occupation has continued to order more Palestinians to administrative detention. Wasfi Qabha, 56, the former Palestinian minister of prisoners, was ordered to five months in indefinitely-renewable detention after he was seized by occupation forces on 5 July. He was released only five months ago from an 8-month administrative detention period. 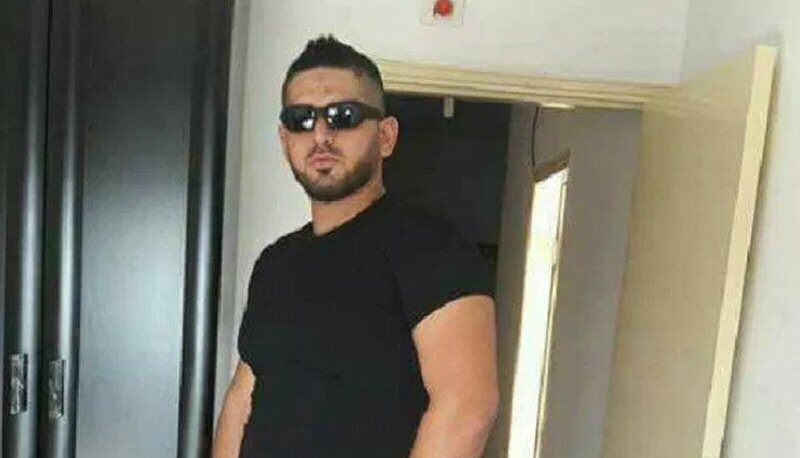 Thabet Nassar, 40, a nurse, was ordered to six months in administrative detention after he was seized from his Nablus home on 28 June, only five months after his release from 20 months in administrative detention. A former hunger striker, he has been detained eight times and spent 14 years in Israeli jails, 9 of them without charge or trial under administrative detention. Meanwhile, Ayman al-Tabeesh, a former long-term hunger striker who went on a 105-day hunger strike to win his freedom from administrative detention, had his detention order renewed for the sixth consecutive time for another six months. He has spent over 12 years in Israeli prisons, most in administrative detention; he has currently been jailed since 2 August 2016. He was held in isolation for eight months, sparking repeated protests among fellow prisoners, and was only returned to regular prison sections in the past few days.